Alcon is the global leader in eye care. As a division of Novartis, we offer the broadest portfolio of products to enhance sight and improve people’s lives. Our products touch the lives of more than 285 million people each year living with conditions like cataracts, glaucoma, retinal diseases and refractive errors, and there are millions more who are waiting for solutions to meet their eye care needs.We are reimagining eye care to help patients see, look, and feel their best. We strive to improve patient outcomes and quality of life through our differentiated portfolio and innovative partnerships. Allergan is a diversified global pharmaceutical company and a leader in a new industry model - Growth Pharma. The company is anchored by strong and sustainable brand franchises, a leading global generics business, a premier pipeline, highly efficient operations and an experienced management team creating an unrivaled foundation for long-term growth. Allergan is a proud supporter of the Optometry Community offering a variety of products, programs, and resources. Bausch + Lomb, a Valeant Pharmaceuticals International, Inc. company, is a leading global eye health organization that is solely focused on protecting, enhancing and restoring people's eyesight. Its core businesses include over-the-counter supplements, eye care products, ophthalmic pharmaceuticals, contact lenses, lens care products, ophthalmic surgical devices and instruments. Bausch + Lomb develops, manufactures and markets one of the most comprehensive product portfolios in our industry, which is available in more than 100 countries. 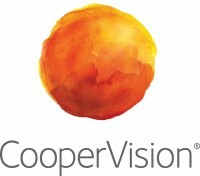 CooperVision, one of the world’s foremost manufacturers of monthly, two-week and 1-day contact lenses, offers innovative products featuring advanced materials and optics in over 100 countries. At Johnson & Johnson Vision, we have a bold ambition: to change the trajectory of eye health around the world. Through our operating companies, we deliver innovation that enables eye care professionals to create better outcomes for patients throughout their lives, with products and technologies that address unmet needs including refractive error, cataracts and dry eye. In communities with greatest need, we work in collaboration to expand access to quality eye care, and we are committed to helping people see better, connect better and live better. Visit us at www.jjvision.com. Follow @JNJVision on Twitter and Johnson & Johnson Vision on LinkedIn. Championing patients is our call to action - it brings the opportunity - and responsibility - to change people’s lives. 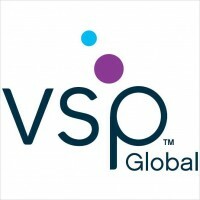 VSP Global comprises five complementary businesses that combine eye care insurance, high-quality eyewear, lens and lens enhancements, ophthalmic technology, and connected experiences to strengthen the relationship between patients and their eye doctors. Carl Zeiss Meditec offers a comprehensive portfolio of products and services that enable eye care professionals to meet the demands of an increasingly challenging healthcare environment. We drive the development of leading edge technology for diagnosis, treatment, follow-up and management of the most common eye diseases. We provide comprehensive connectivity solutions to help increase efficiency and productivity with electronic workflow. We offer clinical applications training and a broad range of service and support options. All with the goal of helping our customers overcome their day-to-day challenges so they can focus on delivering the best possible patient care. As the world's leading manufacturer of precision optics we combine technical expertise and innovative ideas into exceptional visual experiences. Prepare to be astounded by solutions that are much more than just lenses! Capital Vision Services, LP is a regional full-service, vision care company with over 300 offices. We are focused exclusively on the acquisition and management of optometric practices under the MyEyeDr. brand. In our role of managing the affiliated practices operating under the name MyEyeDr., our mission is to provide optometrists and/or optical retailers with both a secure transition strategy and an expert team to oversee all day-to-day business operations, giving them the freedom and confidence to focus entirely on patient care. IDOC is an alliance that is committed to the growth and long-term success of independent optometrists ever since its founding in 1999. IDOC provides resources and tools to help independent optometrists grow their practice including: vendor savings (discounts and rebates from over 50 industry-leading vendor partners), networking and professional development opportunities, practice management consulting, and practice management technology and insights. Our committed employees offer access to these programs, consulting and other resources to help ensure the future success of our members and independent optometry. ABB OPTICAL GROUP supplies nearly two-thirds of eye care professionals across the country with brand name contact lenses, fully customizable gas permeable and custom specialty soft contact lenses, ophthalmic lenses and more. Our state-of-the-art DIGITAL EYE LAB is a fully automated optical lab dedicated to freeform digital lens fabrication. ABB OPTICAL GROUP also offers our customers practice-building services such as pricing strategy tools, business reviews, annual supply staff training, and e-commerce solutions! OD Billing is a full-service Vision and Medical billing organization with over 25 years of experience. Back office functions eligible to be outsourced to OD Billing include scrubbing claims, submitting claims to insurance companies and posting payments directly in your office software. Optional services include credentialing, vision plan payment posting and mailing patient statements. Costs that can be mitigated through an OD Billing relationship include monthly clearinghouse fees, office supplies, and staff time. The expected results of this association are accelerated accounts receivable, improved cash flow, and reduced bad debt write-offs. Unlike many billing companies who take a percentage of your insurance payments, OD Billing charges a flat rate per claim to process and post payment. OD Billing enjoys a great working relationship with OfficeMate, Revolution EHR, Crystal PM, Trizetto Provider Solutions, Pearlman Buying Group and Healthy Eyes Advantage (formerly Vision West). For more information, please reach out to our Director of Operations, Denise Folloni at Denise@ODBilling.com or 508.823.9307x131.